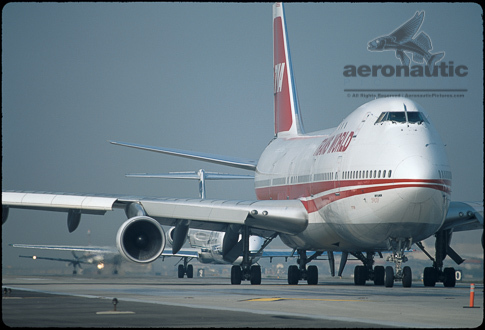 Aviation Stock Photo – TWA Flight 800 Picture: Stock photography in high definition of the Boeing 747 that later crashed as TWA Flight 800. It was a Boeing 747-100. This picture was taken at Los Angeles International Airport (LAX). You can clearly see that this is the correct plane by looking for the “N” number of N93119 on the rear side of the aircraft in the views that show that portion of the plane. Another from our travel stock photos category designed to be images for website and more – download stock photos as soon as your order is placed!